It seems like only yesterday, but it’s actually a whole year since I wrote my post on the Anne Sémonin made-to-measure skincare routine I had been prescribed. You can read about that here, if you’d like a quick trip down memory lane!) It was quite a complex routine, involving daily masks and mixable concentrates, toners added to this and drops of oil added to that, but I really got into the swing of it and loved that the products were so active and potent. I still – despite having a million other things to test – use the Anne Sémonin Miracle Eye Contour Anti-Wrinkle Cream on a very regular basis and have a whole line-up of their gel and cream masks in the shower that I whack on during my morning ablutions and rinse off last thing. And the Soothing Intensive Complex, a concentrated duo of essential oils and trace minerals that are mixed together before application, is a permanent fixture on the skincare shelf. 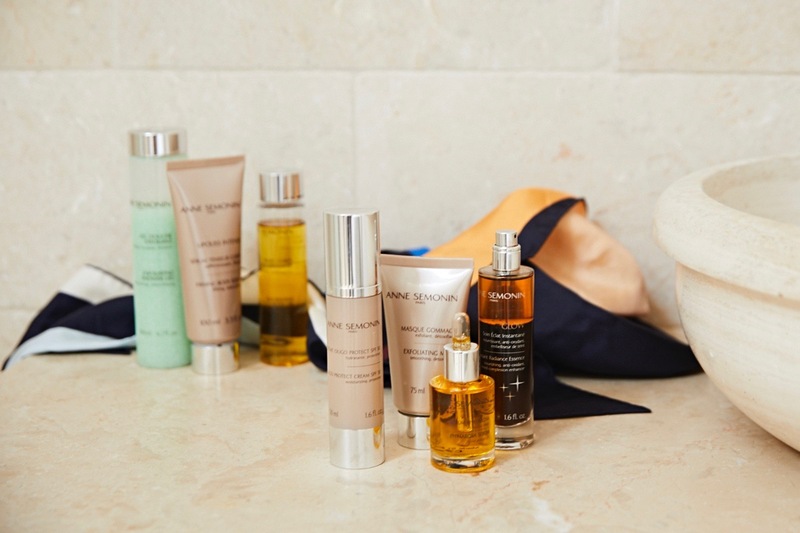 And so I was delighted when Anne Sémonin asked me to write about summer skin prep – they have loads of beautiful products for face and body that really do help to get your skin glowing and smooth, and there were a few new launches that I couldn’t wait to try. Here, then, is what I’ve been up to on the summer skin preparation front – AKA Project Descaling. Shins covered in scales, knees rough as brillo pads, elbows capped with skin as hard as tree bark: I’ve been doing a full, daily buffing and toning routine using three key products. The first, the Exfoliating Shower Gel, has been a lazy way of incorporating a scrub into my life without adding an extra step. It’s not as scrubby as a standalone scrub, but there’s enough of a grainy feel to make you want to give it a good rubbing-in. (The exfoliation comes from the cellulose extract from biodegradable wood pulp – no microbeads here!) And the rubbing-in part is actually quite energetic, I find, so that ticks off my exercise for the day. If I do my feet and don’t lift them off the shower floor, then my stretching is done too. Skin smoothed, I then go in with a double-whammy tone-and-nourish plan of attack: the Lipoliss Intense Firming Body Serum to tighten and firm (it has an intensely fresh, uplifting feel that’s great in hot weather!) and the Nourishing Body Oil to soften and soothe. 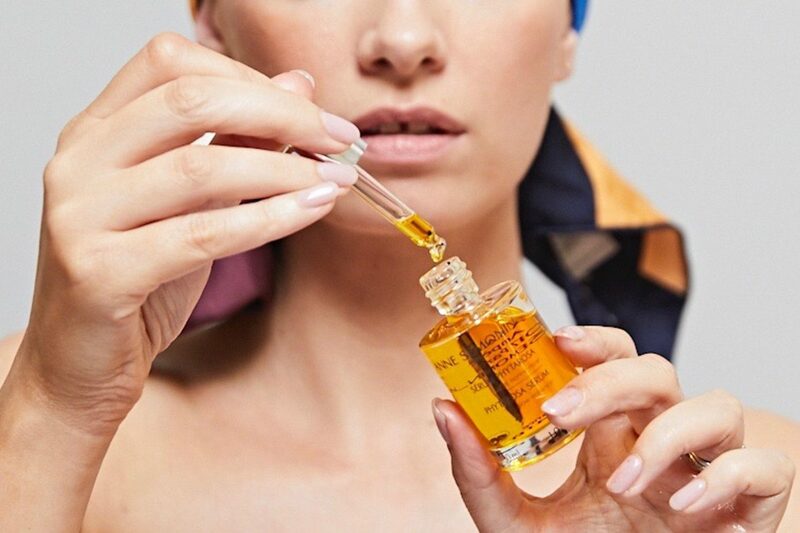 The serum is brand new and packed with a cocktail of ingredients to help with skin elasticity and strength, including brown and green algae to hydrate and sweet almond and soy proteins to help stimulate collagen production and improve firmness. And I must say that I find the body oil incredibly potent – it’s almost like an all-over version of the Soothing Intensive Complex for the face that I mentioned earlier. It uses the finest essential and botanical oils and is really concentrated – the aroma is so strong that I feel as though I’m having a spa treatment! There’s a blend of hazlenut, sesame and buriti oils to nourish and protect the skin and then added essential oils – lavender, mandarin and marjoram – to heal, de-stress and stimulate. Massaging this in is a proper treat – very luxurious – and I tend to press it on in small amounts rather than baste myself. With the oil, I tend to concentrate on drier areas – lower legs, arms, lower back – but on tum, bum, thighs and chest I tend to use the firming serum first and then press the oil on over the top. Just as I would on my face, I suppose – it’s like a facial but on a larger scale. With body prep, I seem to have adopted a full self-prescribed Anne Sémonin routine, but with face prep things have been a little different. I like to find products that can easily slip into any skincare line-up and so I mixed and matched the following things with my usual cleansers, serums and moisturisers. I have to say that the key consideration for any summer skin routine has to be helping to protect it against the sun. Safety is the priority and soft, toned, glowing skin is a bonus. So a daily SPF, then (I’ve been using Anne Sémonin’s Oligo Protect Cream SPF30) but also the brilliant Phytarosa Serum, which has been formulated to help build up the skin’s own protection before sun exposure and give a natural, sunkissed glow. This oil is so deeply moisturising and a great little booster to apply in the mornings either before SPF or on its own, if you’re not going to be basking in the Bahamas or spending a long time outdoors. It has actually been designed for very dry, damaged skin as a deep repair treatment, so it leaves it incredibly soft and the macadamia nut oil and beta carotene helps to build up a beautiful colour. But for a less gradual glow (and I am a fan of very gradual things – I fear instant, un-wash-off-able tans and anything permanent!) there’s this nifty spritz-on-bronze called – very simply – Glow. Now this bi-phase complexion enhancer is absolutely not supposed to be sprayed directly onto the skin, but I’ve never been one for following rules and I think that it works perfectly this way! You have to be ready to work quickly, if that’s what you’re doing, because it’s a bit like spraying on a concentrated liquid bronzer, but dab it in with a makeup sponge on top of a dewy base and it works a treat. Or straight onto freshly-applied moisturiser and press in – it gives a gorgeous bronze sheen. Subtle but chic. You’re supposed to apply with a cotton wool pad (shake the bottle thoroughly before use) and swipe it on pre-moisturiser, but why waste it on cotton wool? I much prefer the direct approach! There’s no residue with Glow and it’s shimmer-free, though the colour pigments are very clever and reflect light to give a brilliant luminosity. No transferring, no sparkling, just a healthy – buildable – tan that can be removed with cleanser at the end of the day. But I’m concentrating on the instant, visible effects here when I should really mention the skincare benefits, because that’s what sets Glow apart from other wash-off tans; it’s more “concentrated essence with added tan” than “tan with benefits”. Despite it feeling almost weightless on the skin, it’s actually a bi-phase formula – the oil base contains nourishing tomato seed, buriti and apricot kernel oils and then the water part is super-charged with anti-oxidants to help protect the skin and enhance its natural tan. I’ve also been spritzing a little Glow into my palm and mixing with my moisturiser for a very easy (though far more subtle) fix. Ooh – I’ve gone slightly off with my order of service, here, because this should have come first, but I’ve also been using the Anne Sémonin Exfoliating Mask every other day whilst performing my body shower-serum-oil routine. I’ve used this before, a lot, so I’m no stranger to it, but it’s a great one for gently brightening and de-clogging the skin. It’s a clay mask, but not as you know it – more foamy and light than your typical chisel-it-off kaolin affair – and it leaves my face feeling soft and deep-cleansed without any harsh scrubbing or stripping. Red seaweed exfoliates away dead skin cells on the surface of the skin and the kaolin absorbs excess oil and you can actually tweak the effects of this mask depending on how long you leave it on for – a couple of minutes will leave skin brighter and smoother, especially with a bit of a massage before you rinse off, but for a more purifying treatment the mask can be left on for up to ten minutes. I’m very impatient when it comes to masks and I like the fact that I can take this one off early if I need to – a good massage in to get the little beads of algae sloughing away and then I’ve turned a face mask fail into an exfoliation triumph. So there: face and body prep done. Now I need to go and do my other type of prep which isn’t hair removal (I just do a once over with the garden strimmer when things get too out of hand) but is, in fact, wardrobe-cleansing. Bag of stuff for charity, distraught bikini bottoms into the recycling bin at Sainsbury’s (that is for cloth, isn’t it?!) and some laughably small Diane Von Furstenburg dresses to the dress agency. 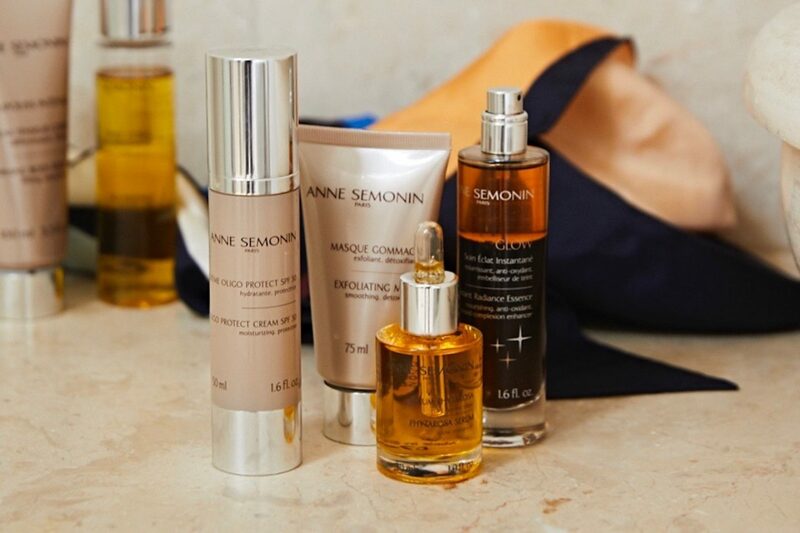 Anne Semonin are offering readers 25% off all Anne Sémonin products for five days! Please use code RUTH25 when you place your order. 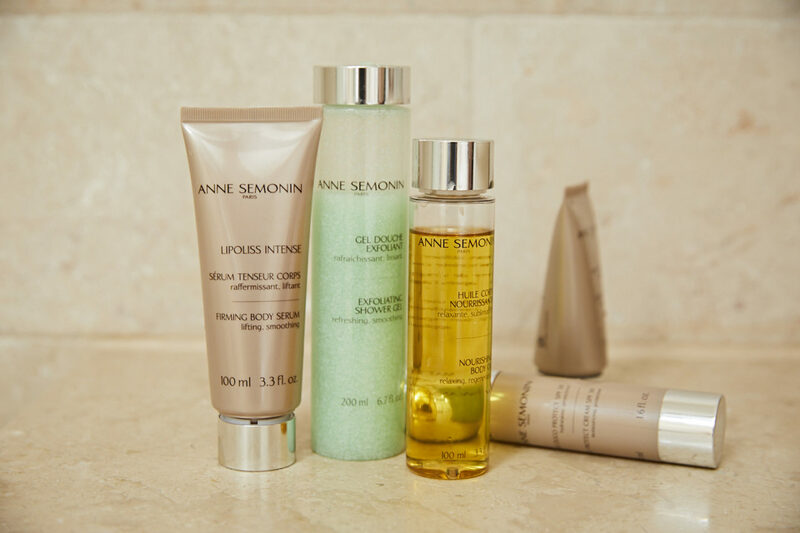 This post contains advertorial for Anne Sémonin.